In order to be successful, addiction treatment services cannot be a cookie-cutter, one-size-fits-all approach. A good quality drug and alcohol treatment program will make sure that they meet a patient where they’re at, find the fundamental issues underneath the substance abuse or chemical dependency and then treat the underlying causes and conditions. A good treatment program will address the issues that are causing a person to use and abuse drugs and alcohol, the character pathologies, the emotional distress, the potential mental health problems. That being said, there is a basic addiction treatment paradigm that supports the highest quality drug and alcohol treatment. A treatment approach that incorporates three components that all must work comprehensively in union for a successful treatment experience. For whatever reason, many treatment providers refuse to accept and utilize this model, but without all three there is little chance that a successful outcome will take place. The three components of a successful addiction treatment paradigm are: Medical, Psychotherapeutic and Social Services. Every good quality treatment program should provide a medical component. This incorporates the input of a Medical Director, someone that understands the medical issues caused by drug and alcohol abuse and the best available medical options to treat chemical dependency. Often this will come in the form of medication. 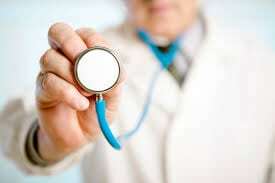 There is currently much information supporting “evidence-based treatment”, which often means “medication maintenance” or “opiate replacement therapy”. Claims by providers are that there is a much higher “success rate” for opiate patients that are put on Suboxone or Methadone as opposed to the “old abstinence model” of treatment. These are loaded claims and there is little evidence to support them, especially when they are held up and examined with the other two components (psychotherapeutic and social services) of this approach. However, there is absolutely a place for “evidence-based” medical treatment in the addiction treatment field. Medications are absolutely crucial with a person in need of a medical detox. More often than not, opiates are thought of when mention is made of “detox”, but far more dangerous and life threatening detoxes are from alcohol and benzodiazepines like Xanax and Valium. These detoxes can kill a person. Furthermore, medical approaches are often needed in longer term treatment for those patients actually suffering from medical issues. Medical follow ups by a patient and constant evaluation of medications is important throughout the entire course of treatment. The second component of a successful addiction treatment program is psychotherapeutic. Psychotherapy is the core of drug and alcohol substance abuse treatment. This is the group and individual therapy that a person suffering from substance abuse issues receives throughout treatment. The depth and intensity of the treatment can vary and often decreases as a person moves through treatment, but it is essential in all aspects of addiction treatment. Psychotherapy can take the form of individual therapy, group therapy, family therapy or couples therapy. It can take place with one primary therapist or can be conducted over the course of treatment with different therapists, some specializing in different areas of practice. Psychotherapy is where a person suffering from addiction or alcoholism will get down to the causes and conditions underlying their substance abuse issues, where issues will be identified, health alternatives mapped out and actions and behaviors can begin to change. Psychotherapy is where the patient should begin to get healthier from a mental and emotional standpoint. Trust is built between the patient and the therapist (and sometimes the patient and the group or the group and the therapist), therapeutic alliances are formed and healthy attitudes are identified to improve the thought process, perception and attitude of the patient which in turn lead to healthy behaviors and overall well-being that allows for a drug and alcohol free beginning. The third and probably least understood and offered component of the paradigm of a successful addiction treatment program is that of social services. 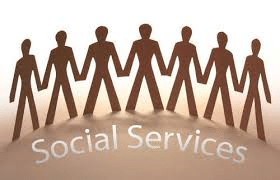 Social services in an addiction treatment area can take many forms. But overall, these services are imperative for a patient in order to have a successful treatment outcome. The reason for this is the understanding that due to the substance abuse and underlying emotional and mental issues, most people in treatment are stunted in many areas of life. People are living at home with their parents for longer and longer period of time. Many families have issues related to enabling. Regardless of the reasons, many patients in a treatment setting are in need of solid social services support. This can include services such as resume building, job training, legal advice, outside medical advise, housing and education. Again, this cannot be a cookie-cutter approach and a good quality treatment program will meet a patient where they are at in terms of their individual needs. Perhaps the person is a young adult who dropped out of high school? They will need help in getting back enrolled or getting their GED. Perhaps they need a higher level of education? Perhaps training in a technical field? Perhaps they suffer from legal issues and need help finding an attorney? Perhaps they have money and debt issues? Perhaps they are dealing with divorce or loss of their parental rights? Resume building, job applications, how to find the appropriate help across a number of areas. These are all issues that people suffering from drug and alcohol addiction are dealing with, and a good quality treatment program will be able to offer them help in all those areas. Because it’s easy to tell a person to “put their recovery first” but it’s difficult for a person that needs a place to sleep and a job to do so. Sure, that person can get clean and sober regardless of their outside circumstances, but a good addiction treatment program will aid them in getting help in those areas in order to remove as many barriers as possible that prevents them from entering recovery. Maryland Addiction Recovery Center believes in a successful treatment paradigm that includes the three essential components of medical treatment, psychotherapeutic treatment and social services/vocational training and counseling. If you or someone you know is suffering from addiction and needs substance abuse treatment in the Baltimore, Maryland area, please visit our treatment center in Towson, MD, call (410) 773-0500 or email info@marylandaddictionrecovery.com. Additional information on our services can be found at the web site, www.marylandaddictionrecovery.com.